With custom-blended loose leaf teas available in 6,500 stores nationwide and a dedicated team, all in their mid-20s, Tiesta Tea’s story is one of a kind. 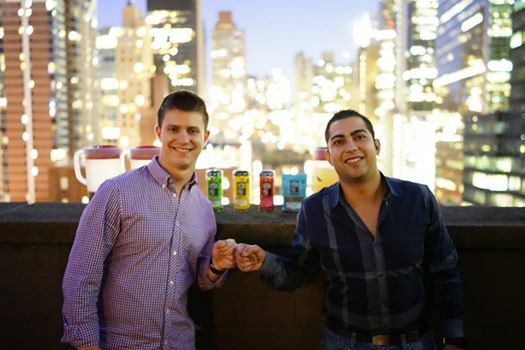 Since their launch in August of 2010, Tiesta Tea founders, Dan Klein and Patrick Tannous, have experienced firsthand how tenacity, developing as leaders, and learning through experiences directly impact the success of a startup. For both Dan and Patrick, Tiesta Tea was their first (and only) career move after college, and plunging head first into a fast-growing startup has contributed greatly to their maturity. Dan and Patrick humbly approached every business opportunity as a chance to learn. They were able to get in the door with major retailers by taking the approach of a student, asking early partners - like Mariano’s - to simply teach them. Tiesta’s youthful approach is a key differentiator in the loose leaf tea industry, a traditionally elite consumer good. Their fresh and accessible brand is a key driver of Tiesta’s mission to bring loose leaf tea to the masses. And today, at 26 years old, they are running a board of directors, raising millions of dollars, and disrupting the loose leaf tea industry. In their four years of operation, the Tiesta Tea team has developed the tenacity and resilience to be a successful company with a product sold on shelves nationwide. This success did not come without its hurdles. Both founders have had their fair share of challenges, and the company has hit a few roadblocks as well. The growth and development of a healthy company culture are also aspects of Tiesta Tea that Dan and Patrick value significantly. Dan describes their workplace best: “It’s not an environment where people are scared or don’t feel valued. It’s not an environment where people are bored. It’s an environment where people do what they’re good at.” This is especially prevalent during the team’s Friday afternoon meeting, which takes place 51 weeks out of the year. The ritual resulted from the Junto Class on Operations & Metrics, taught by Nick Sarillo, and essentially consists of everyone going around in a circle and speaking for five minutes about what they’ve worked on that week. It gives the team an opportunity to brag a little bit about the projects they’ve been involved in and end the week on a positive note. Patrick describes the Tiesta Tea culture as an environment that welcomes “being open and being yourself. No one is afraid to voice their opinion.” Dan agrees, noting that “we’re open about criticism and positive feedback.” One of the biggest lessons Patrick and Dan felt they learned through Junto was to "win as a team and lose as a team" and that lesson has become a pillar of their company culture. The Junto Tribe has played a pivotal role in Tiesta Tea’s success. Dan explicitly notes, “The Junto Tribe has been so helpful for us thus far… connecting us with sales opportunities and raising capital. We have gotten huge business because of Junto and we have investors that are in the Junto Tribe.” Both Dan and Patrick rely on the connections they’ve made through Junto, in both their personal and professional lives. Moving forward, Tiesta Tea is focused on raising awareness about the availability and affordability of their loose leaf tea, and asks the Tribe to continue to help spread the word. With all they have learned about and grown from, the Tiesta Team has the tenacity and resilience to accomplish great things.